Whether you are already a freemason or simply someone interested in finding out more about Freemasonry and perhaps joining us, we warmly welcome you to our web site. 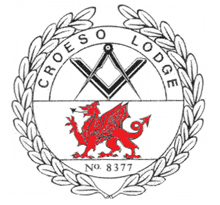 Croeso 8377 is one of the 150+ lodges in the Masonic Province of South Wales, which, in turn, is one of the 47 provinces that make up the United Grand Lodge of England. The number 8377 represents our chronological position on the register of the United Grand Lodge of England, the governing body of Freemasonry in England and Wales. Established in February 1971, we are known as a dining lodge, which means that we combine the serious side of Freemasonry with a pleasant end of the evening experience where everyone can dine, have a drink and relax in good company. 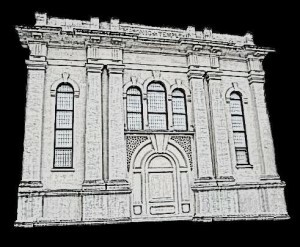 We meet at the Cardiff Masonic Hall in the heart of the city. We currently have some 50 members drawn from all walks of life and all ages. This diversity of age and background results in an interesting and lively group of like-minded men who come together in the spirit of mutual respect and brotherly regard. Please feel free to explore our site. You will find interesting facts about our history, news of forthcoming meetings and social events and information about becoming a Freemason. If you have any questions, comments or would like to know more about us please do not hesitate to get in touch. Warrant date: 10th Feb 1971, Meeting at the Masonic Hall, Cardiff.